Today you can not image a policeman growing a beard making the headline in the local newspaper, but on 19th September 1969 P.c. 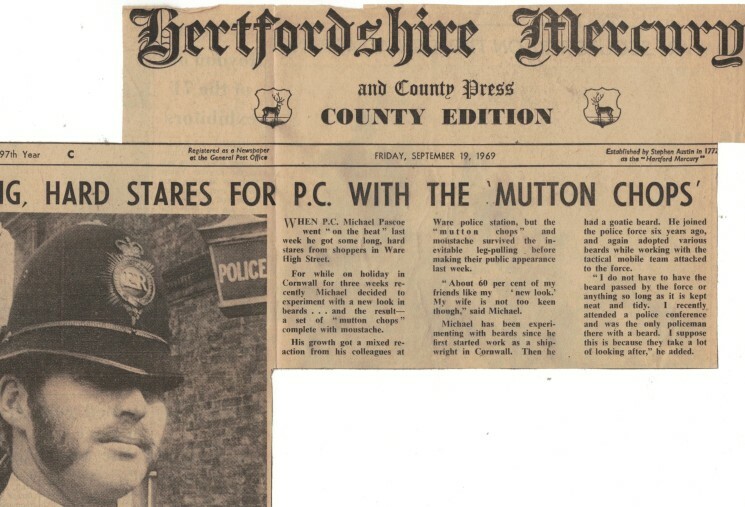 Mick Pascoe of Ware did just that in the Hertfordshire Mercury with his mutton chops and moustache. Mick grew them whilst on holiday and, on his return to duty, was instructed to shave them off. 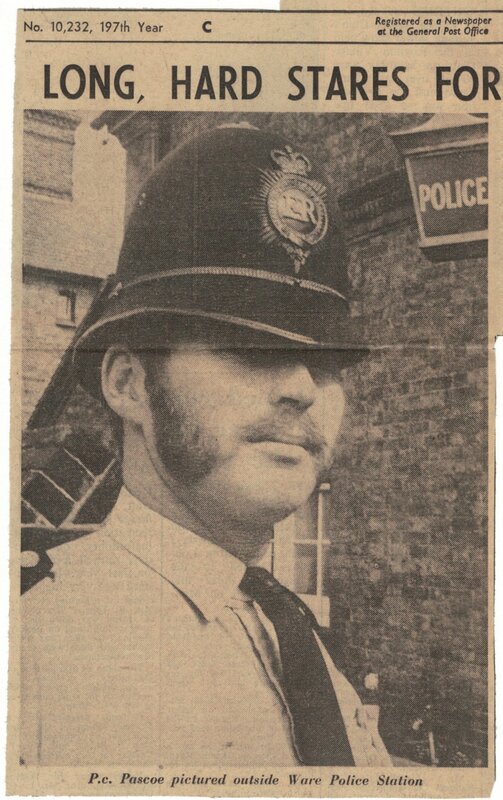 Typical of Mick, he refused saying there was nothing in Police Regulations to say that he could not have such facial hair.